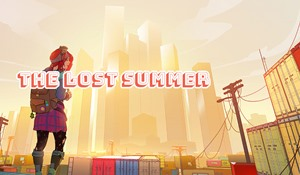 The Lost Summer is a role-playing style video game, designed to be a highly engaging experience for 11 to 14-year-olds while building digital intelligence skills and encouraging online safety. The game immerses players in a futuristic environment where they need to exercise skills such as critical thinking, empathy, resilience, respect and responsibility to complete challenges and advance through the game. Research from the eSafety Office shows an estimated 81% of Australian young people aged 8-17 have played games online in the past 12 months and that 17% have been bullied or abused during gameplay. Download the game, supporting lesson plans and teacher resources from the eSafety Office website. The TRB sponsored four pre-school and junior primary teachers to attend the conference Teaching Children to Read Like Writers and Write Like Readers, held at St Peter’s Girls School earlier this year. Special guest speaker was Matt Glover an educational consultant and author of several books about nurturing writers and supporting children’s intellectual growth and development. The sponsored teachers found the conference a great opportunity to learn new ideas and to network with like-minded educators. You can read their conference reports on our website here. Learn how to support students who have experienced complex trauma is a free two-week online course starting on 10 September. Find out more here. The Six Traits of Writing. Tuesday 11 September, 8:45am-2:45pm. Cost $275+GST. To find out more or to register click here. Engaging the Upper Two Bands in Literacy. Tuesday 11 September, 3:30pm -5:15pm. Cost $85+GST. To find out more or to register click here. Intervention Strategies, Wednesday 12 September, 8:45am-2:45pm. Cost $275+GST. To find out more or to register click here. Teaching it like it is: Secondary Courses: 27 & 28 August 2018 or 2 & 3 October 2018. The ACER Research Conference 2018 will examine research evidence around teaching practices that make a difference. It will bring together leading international and Australian researchers to review what is known about effective teaching and to discuss the criteria for evaluating the quality of claims made for particular teaching methods. At the International Convention Centre in Sydney on Sunday 12 and Monday 13 August. Find out more here. Literacy Day with keynote speaker Misty Adoniou on Tuesday 28 August. There will also be educator-led sessions that enable you to inquire into game-changing practices, collaboratively design learning, and build your knowledge base through knowledge inquiry sessions. Both days run from 9:00am-4:00pm at the EDC, 4 Milner Street Hindmarsh. To book or find out more click here. Music and Fun is offering a workshop with Libby Phillips for pre-school childhood educators interested in obtaining fresh ideas for their music programmes. All attendees receive two CDs and two accompanying books containing over 60 songs and activities. Being held at St. Matt's Church, Kensington from 9:15am-12:30pm on Saturday 22 September. Cost $120. Register here or for more information click here. Angela Colliver Consulting Services is holding Help! How do I teach Food and Fibre Production using Project Based Learning? For Years 7-10 Science, Agriculture, Food Technology, Industrial Arts and Design Teachers, this workshop will explore the new Australian Curriculum Technologies and Science years 7-10 and its emphasis on PBL pedagogical approaches. Murray Bridge High School Trade Skills Centre, 9:00am-3:00pm, Friday 31 August. Cost $260 or $195 for members of SA Professional Associations. Register here by 24 August. How to Teach Strong Argument Structure. So many students struggle to understand the anatomy of an argument. This workshop introduces argument structures and strategies for effective learning. Saturday 25 August, 9:00-1:00pm. How to Set Up and Run a Community of Inquiry. Bring creative, critical and collaborative thinking to your classroom. Saturday 29 September, 9:00-1:00pm. Both workshops cost $150 pp and are being held at the Lakes Resort, West Lakes. To book click here or email admin@sophicskills.com. Top 10 Tips for TRTs - Creating powerful learning environments on Thursday 16 August, 4:45pm-6:30pm. Cost $66. Creating a Playful Approach to Mathematics in the JP Setting on Thursday 9 August, 4:15pm-6:15pm. Visualising in Mathematics on Saturday 11 August, 9:00am-12noon. Exploring Questions on Monday 13 August, 8:45am-3:00pm. Exploring Questions on Monday 13 August, 4:15pm-6:30pm. Developing Number Sense in R-4 on Friday 17 August, 9:00am-3:00pm. Making Sense of Fractions and Decimals on Monday 20 August, 9:00am-3:00pm. Creating Apps in the Classroom is an online course through the Queensland University of Technology. In this course you’ll learn how to play a more proactive role as an app creator. You’ll learn how to create at least five pages of a simple app that can be used to demonstrate how content, technology and pedagogy are related. Over two weeks, 1 hour per week, from Monday 17 September. Cost is free. Find out more here. Understanding and Working Through Difficult Emotions in Learning with Dr Lydia Woodyatt. Monday 20 August, 9:00am–3:30pm. Cost $145. A Whole School Approach to a Happy, Resilient and Connected Learning Environment with behaviour analyst Madhavi Nawana Parker. Monday 27 August, 9:00am-3:30pm. Cost $145. Both workshops are being held at The Highway, 290 Anzac Highway, Plympton. Ideal Learning has a new 2018 Neuroeducation Series offer. Twenty hours of online professional learning in Neuroeducation for $153 +GST. Find out more here. Also, on sale in August only, a two-hour online course on Creativity and the Brain - Learning to Create - at the sale price of $65 +GST (usually $98 +GST). Ceduna: Positive Practical Behaviour Solutions Workshop Series by Dolly Bhargava. Developing Emotional Regulation Skills in Individuals with Anxious, Oppositional and Aggressive Behaviours. Monday 17 September, 10:00am-3:30pm. Cost: $220.30 inc GST. Find out more here. Assessing-Preventing-Managing Challenging Behaviour. Tuesday 18 September, 9:00am-3:00pm. Cost: $220.30 inc GST. Find out more here. Supporting Individuals with Autism Spectrum Disorder: Monday 17 September, 4:00pm–7:00pm. Find out more here. Supporting Children Affected by Trauma. Tuesday 18 September, 4:00pm-7:00pm. Cost $132. Find out more here. All workshops are being held at the Ngura Yadurirn Child & Family Centre, 2 Kelly Street, Ceduna. For more information please email qualitycommunication1@gmail.com or call 0423 293 254. Supporting Students on the Autism Spectrum for School Services Officers & Education Support Officers. Friday 14 September, 9:30am–4:00pm. Members $175, non-members $185. Autism SA, Unit 1, 57 Elizabeth Way, Elizabeth. Supporting Primary School Students on the Autism Spectrum. Wednesday 19 September, 9:30am-4:00pm, members $175, non-members $185. Autism SA, 262 Marion Road, Netley. Take Control of Your Life! Understand what makes you tick and how it affects you and others with Kate Mason. An introductory workshop where you will learn to understand yourself, build life-changing skills and realise the impact that innate personality types play in your relationships and roles in all aspects of life. 9:00am-1:00pm. Cost $99. 7 Successful Steps to Beating Burnout with Annie Harvey. A workshop that will look at practical ways to beat burnout, de-stress and boost wellbeing. 1:40pm-3:10pm. Cost $66. You can book both sessions for $165 (includes lunch). To find out more or to book click here. Bookings close 22 August. STEAM, Construction, Coding and the Digital Technologies Curriculum and Your Classroom. This workshop will deepen your experience, understanding and resources to become an even more competent and confident facilitator with your class and for your school! Join presenters, Adrian Francis from Using Technology Better and Rob Sieben from the Hartley Institute for this hands-on workshop. Tuesday 14 August, 9:00am – 4:00pm. Cost $180 +GST. Click here to register. Re-listening and re-launching: Involving children in documenting and communicating their learning (children 2-6 years). An interactive workshop about children’s agency and ownership. Closely aligned with any pedagogy for teaching and learning in the early years is the documentation that informs future learning experiences. The strategies of re-listening and re-launching will be explored with examples showing how children can be involved in viewing and analysing documentation in order to decide upon the next steps. Educators will re-examine the purpose and audience for documentation in their context. Monday 20 August, 6:15pm - 8:00pm. Cost $77. Click here to register. Unleashing Creativity in the Classroom - 3 sessions. A three-day program with Kelvin Sparks, designed to help teachers and school leaders develop a culture of promoting creativity within their schools. (A 2-day workshop followed up by a 1-day workshop). This program provides teachers with practical strategies and activities for unleashing creativity in their classrooms. Literacy and Numeracy emerge as key areas for an infusion of creative practices. Science, Design Technology, Humanities and Social Sciences, even PE, all benefit from an opening to creative impulses. Monday 27 & Tuesday 28 August and Wednesday 21 November, 9:00am - 4:00pm. Cost $660. Click here to register. All workshops are being held at the Hartley Institute, 54 Capper Street, Kent Town.